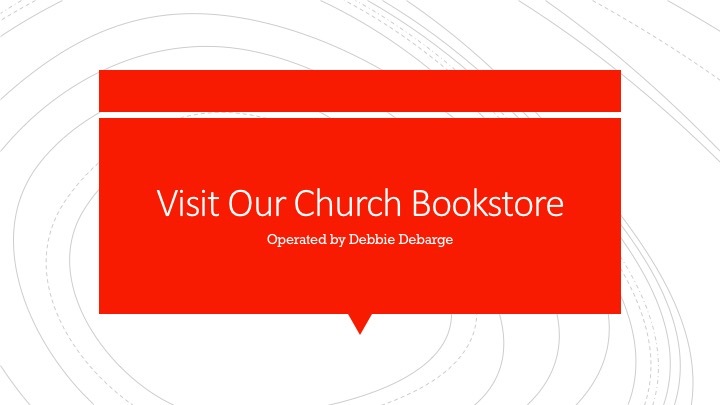 The church Bookstore is open every Sunday immediately following Morning Service. 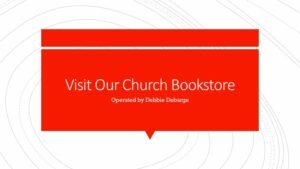 Get CD’s, books, or Bibles. Listen to and read inspiring music and books and stay focused on the Lord!